If you thought A Human Resources Management System (HRMS) only helped you in the Human Resource department, you are in for a surprise. While basic human resource related functions have been the reason for HRMS platforms' existence, 2014 and the years ahead are likely to see HRMS software programs adopt many more roles. A growing trend towards automation and the adoption of cloud-based technologies have changed the way we view Human Resource Management System or programs. These programs will likely evolve in 2014 and beyond in order to help users to tap into unexplored areas. HRMS is also likely to see a revival of sorts, where managing employees and improving their satisfaction will not be its only functions. 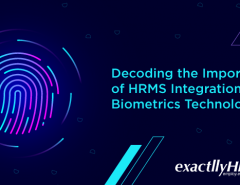 In addition to its traditional functions, HRMS will likely spearhead the adoption of new technologies and web practices among companies that are ready to do so. For instance, HRMS will encourage and prompt companies to adopt cloud technologies and better security applications. In this article, let us take a look at 5 HRMS trends that will dominate 2014 and beyond. With an increasing number of people choosing to work from the comfort of their homes, flexible working schedules have become big in contemporary society. HRMS platforms will help companies to monitor, manage and communicate with remote employees more efficiently. Evolving HRMS standards will ensure that managing remote employees is no longer a topic that causes furrowed eyebrows among HR professionals. HRMS analytics will help companies to understand what employees want and what the trends are going to be like, in the next few years. The valuable statistics and data that can be mined from HRMS databases will prove to be invaluable in helping to predict the future of job market and associated areas. With a large part of our workforce consisting of millennials, gamification is going to be a primary strategy for HRMS developers. Gamification will not only help HR departments to use HRMS tools to communicate and engage younger employees, but they will also assist them in attracting, training and retaining top talent. For the uninitiated, gamification refers to the process of using game mechanics and game thinking in situations where problem-solving is required. Gamification exploits people's natural instincts to compete, achieve and express themselves to solve crucial problems. As with everything else, HRMS will move to the cloud almost entirely, if not in 2014, in at least a few years. Cloud computing will help companies to invest less in on-site infrastructure and help themselves in reducing costs. Cloud computing is infinitely more efficient than legacy systems in a number of ways, and HRMS will benefit from cloud based technologies too. 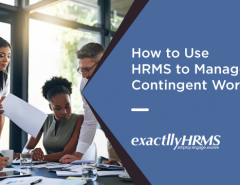 Unlike previous standalone learning management systems (LMS), current HRMS platforms may include modules that will help in manage training and learning among employees. 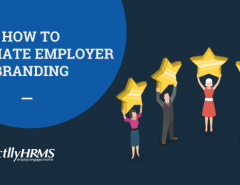 We also expect HRMS platforms to be able to directly coordinate with employees so that courses can be offered from existing HRMS platforms instead of investing in separate applications. 2014 and the years thereafter will likely witness major changes in the way we understand HRMS platforms.Human Resource Management System (HRMS) platforms will no longer be just tools to manage human resource related functions, but an overall program that will help companies to ensure their human capital is utilized to the fullest extent, without falling prey to security threats that may rise in the future. HRMS platforms will also branch out and place emphasis on learning management systems and thereby adding training and development to a growing list of functions.